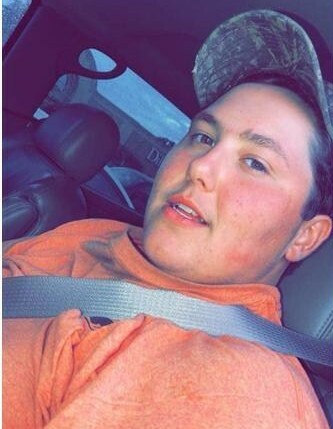 Jacob Steven Jordan, 18, of 225 Bill Kay Rd., died Saturday, October 6, 2018. Born in Anderson County, he was the son of Kenneth Arlue and Michelle Lowie Jordan. He was a student at Piedmont Technical College and a member of Beech Springs Church. Jacob enjoyed working at 2 local farms and catering at Creekside BBQ. He was an avid hunter and fisherman who loved the outdoors and his many friends. Surviving in addition to his parents of the home are: brother, Cody Jordan (Rashelle) of Easley; grandparents, JoAnn Lowie of Belton; Morris and Clara Jordan of Honea Path. He was preceded in death by his brother, Benjamin Jordan; maternal grandparents, Harold and Nancy Lowie and uncles, Steven and Ted Lowie. Services will be held 3:30pm Tuesday at Beech Springs Church with Rev. Eric Boggs officiating. Burial will follow at Garden of Memories. The family will receive friends Monday from 5pm until 9pm at Cox Funeral Home. In lieu of flowers, memorials may be made to Outdoor Dream Foundation, 220 Arnold Dr., Anderson, SC 29621.